Twice a year, the art community of Pasadena and Altadena (CA) hosts a two-day event known as Open Studios tour, where home studios of local artists are open for visiting. Open Studios members also include owners of local retail businesses and/or restaurants who support art and artists by featuring art for sale and display art in a gallery setting. 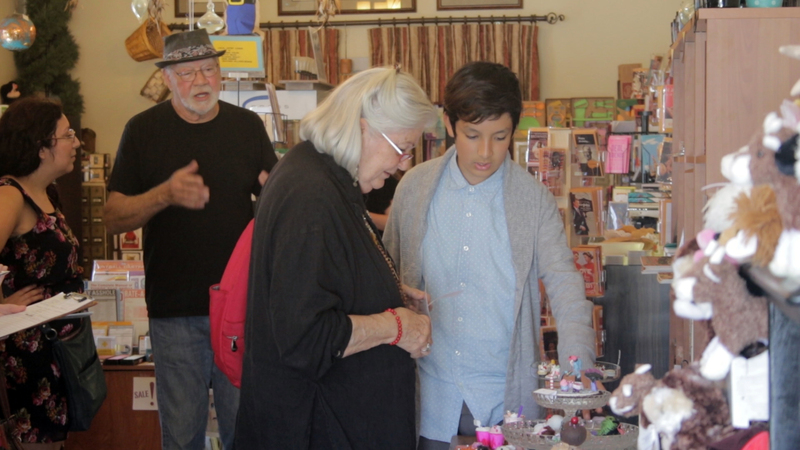 We are featuring the owners of Hoopla!- a unique gift store located in Altadena in one of our shows. They participate in the Open Studios tours, so I visited during the event to film the activities for B-roll footage that could be used for the show. 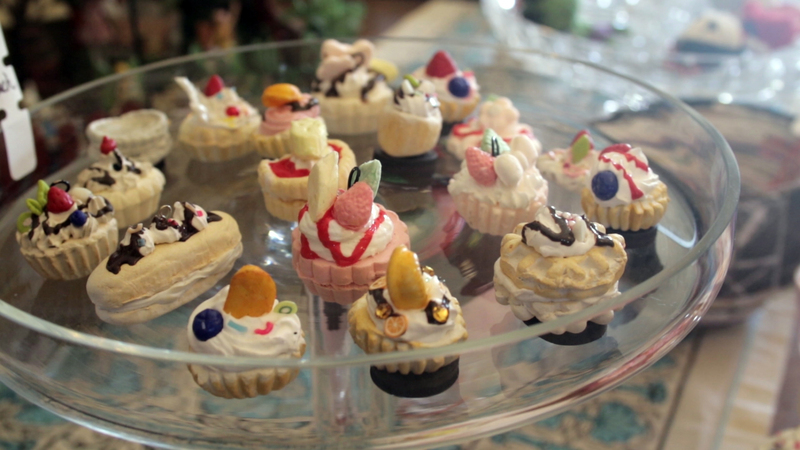 Though they look delicious, these are non-edible creations of the young artist showcasing his work as part of the Open Studios tour.